In-form Altrincham should be concerned about their trip to AFC Telford tonight despite their stunning 7-0 success on Saturday, says boss Gavin Cowan. The Bucks face yet another of their National League North play-off rivals tonight as the Manchester side come to town. Altrincham are unbeaten in six games and visit the New Bucks Head in the best possible shape after their 7-0 mauling of their mid-table hosts Alfreton on Saturday. But Cowan says Alty should be concerned about the proposition of facing Telford – who have come through a tricky group of games against Bradford Park Avenue, Blyth Spartans and Chorley unbeaten taking seven points. Cowan said he watched their 7-0 success and said it was an occasion where everything the Manchester outfit touched went in. 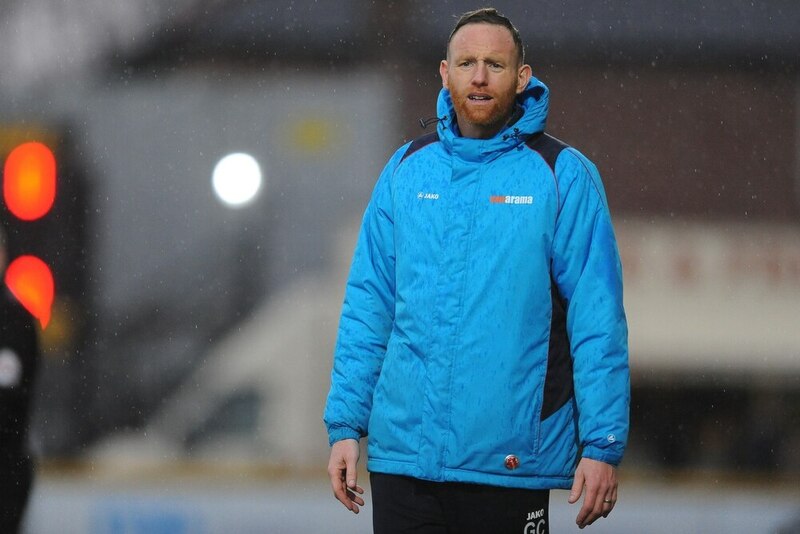 He said: “Altrincham are a very good side but we’re unbeaten in three – they should be concerned about us. “We’ve taken Leyton Orient, the best team in non-league, right to the wire and are unbeaten against three of the best teams in the league. “We’re nobody to be sniffed at. I know that because I spoke to Jamie (Vermiglio, Chorley boss) on Saturday and he told me they were concerned about playing us. Midfielder Ellis Deeney is available for selection despite his controversial red card at Chorley. The three-game ban, if not appealed, will begin on Saturday.